It’s not easy to find a literary agent to represent a short story collection. But here at Writer’s Relief, we’ve noticed a resurgence of interest in the short story form, and publishing pundits predict that interest will continue to grow. In today’s digital world, the bite-sized portability of short stories fits into readers’ mobile lifestyles. The rise of alternate-length eBooks has also established a new market for short stories and novellas that didn’t exist (due to print publishing costs) in the pre-digital world. That said, a short story collection isn’t necessarily an “easy” sell to literary agents and to big, mainstream traditional publishers. Yes, corporate publishers are paying great advances to short story writers—but if you’re hoping for that pie-in-the-sky book deal for your story collection, you’re going to want every advantage you can get. Put your best publication credits forward. The best thing you can do to help your chances of getting a literary agent for your collection is to first get your short stories published individually in literary magazines. After all, stories that have already been published are stories that have an audience! And be sure to mention any awards and nominations! Show your class. If you’ve attended any workshops, classes, or writing conferences, be sure to list them. You never know if/when your reader might have an association with an event or class that you’ve attended. Plus, demonstrating a commitment to craft (and to the short story community) speaks volumes! Name names. Studying with great writers can lend you a certain greatness-by-association. So make the most of your elbow-rubbing by listing the names of the writers who have been your teachers and writing mentors. Be unified. If your short stories are united by a common theme, be sure to mention it! The stronger and more concrete your theme, the better your chances of scoring a book deal. Offer a novel-in-stories. If your short stories are significantly connected, and there’s a larger plot arc that unfolds across the collected tales, then you just might have a novel-in-stories on your hands. And that’s a good thing! Sometimes, a novel-in-stories is easier for literary agents to sell than a collection of stand-alone stories. Learn more about how to write a query letter for a novel-in-stories. Tease with a few key tales. The book summary section of your query letter should offer a few examples of the stories that are included in the collection. You may want to include the story titles, but you don’t necessarily need to. Choose to briefly summarize a handful of the most interesting stories in your collection and focus on fascinating drama, fresh perspective, and emotional impact. Want Help Writing A Query Letter For A Short Story Collection? 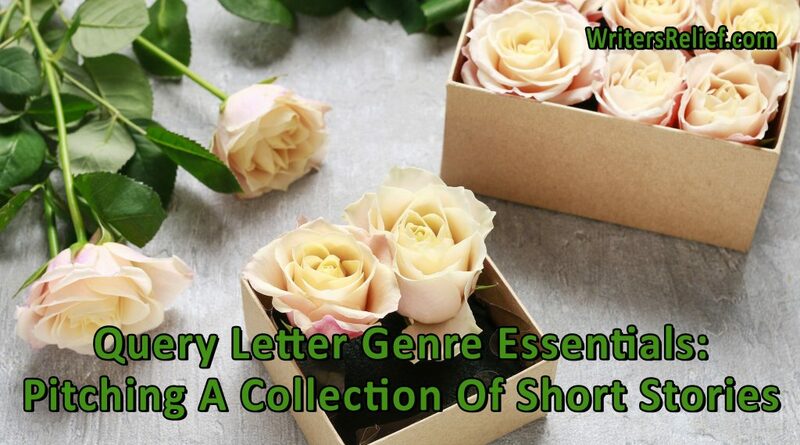 Our expert query letter writers can work with you to craft a short story query letter that makes the most of your strengths (and plays down any weaknesses). Contact us today! Question: Tell us about the last short story you wrote!